I love the idea of audiobooks. I like the thought of being able to squeeze in extra books, to have a book read to me at a time when I couldn't otherwise be reading. 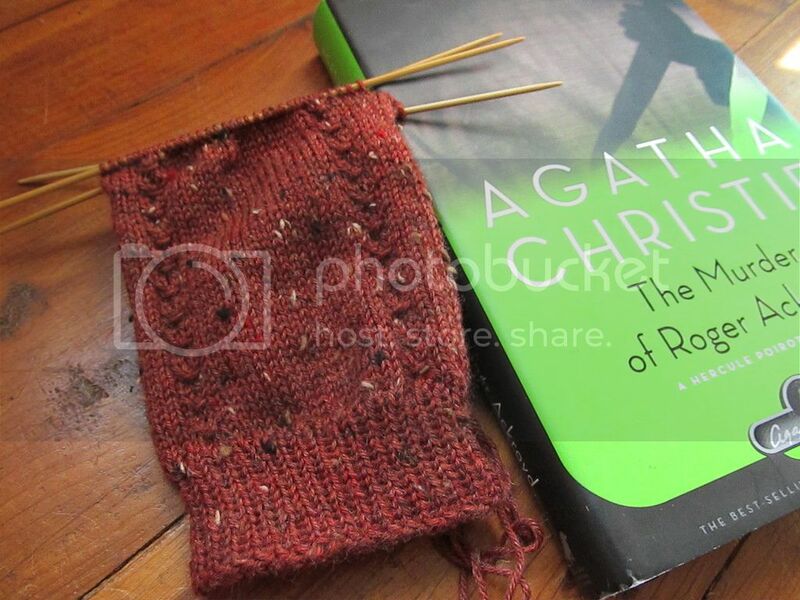 (Example: audiobooks are basically the only way I'd ever be able to read and knit at the same time.) So a few months ago, I signed up for Hoopla, a free service through my local library that allows you to digitally "borrow" audiobooks, music, movies, etc. I was really excited about trying it! The first audiobook that I attempted (ha...you can probably see where this is going) was Counting by 7s. I've been interested in reading that book for a long time. I liked the story, but I didn't like the narrator. The story is told by a 12 year old, and the adult narrator, trying to sound younger, just came across as whiney. I got maybe an hour or two in before I gave up on that one. The next one I tried was The Graveyard Book. Again, another book I've wanted to read for years. It's a full cast production, which is okay, though I think I would have preferred if it was narrated by Neil Gaiman (I've heard good things about his audiobooks). The story is okay, the narration is okay...but again, I'm struggling to finish it. I started listening to it over two months ago and I'm still not quite halfway through! What's the deal? Why can't I listen to audiobooks? Am I just choosing the wrong sorts of books to listen to...would nonfiction be a better choice? I think that my setup is one problem. I'm old-fashioned and don't have a smartphone, tablet, etc. So when I'm listening through Hoopla, I have to be sitting at my computer with my headphones, and that feels restrictive. When I'm knitting at the computer, I seem to always choose podcasts (Woolful in particular) or bookish YouTube videos over listening to the audiobook. But even if I didn't have to be at the computer, I'm not sure that I would be more likely to listen to an audiobook. I know that a lot of people listen to them while they're driving, cleaning, etc. But those are times when I'm always listening to music (even when I'm making soap, ha! ), and I love doing that and don't really want to stop. So while I'm not going to give up yet, maybe I'm just not meant to be an audiobook fan. When it comes down to it, I'd rather check out a physical copy of The Graveyard Book from the library and spend an hour or two reading the second half of it, than sit at my computer for another four hours listening to it. How about you? Do you enjoy listening to audiobooks? When do you listen to them and what kind of audiobooks do you prefer? If you've been around here for a while, you probably know that I have a thing for pretty book covers. I won't lie...I'll go out of my way to purchase a nicer edition if at all possible (sometimes cost prevents that, though). 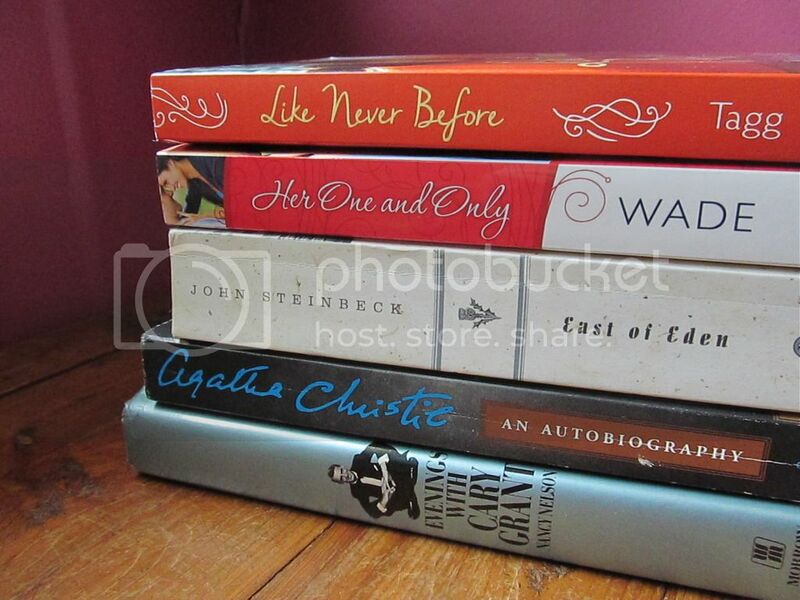 I've definitely gotten rid of ugly copies of books I love and replaced them with pretty ones. 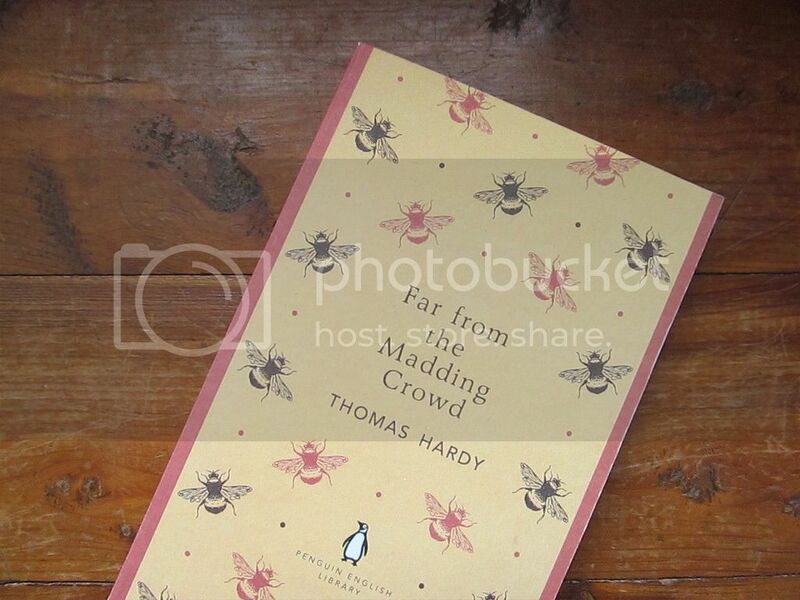 I'm especially a fan of Penguin covers. They're the reason why I sometimes own multiple editions of the same books. They're constantly releasing ridiculously attractive classics. About a week or two ago, I found out about a new book called Classic Penguin: Cover to Cover, which I was interested in reading. 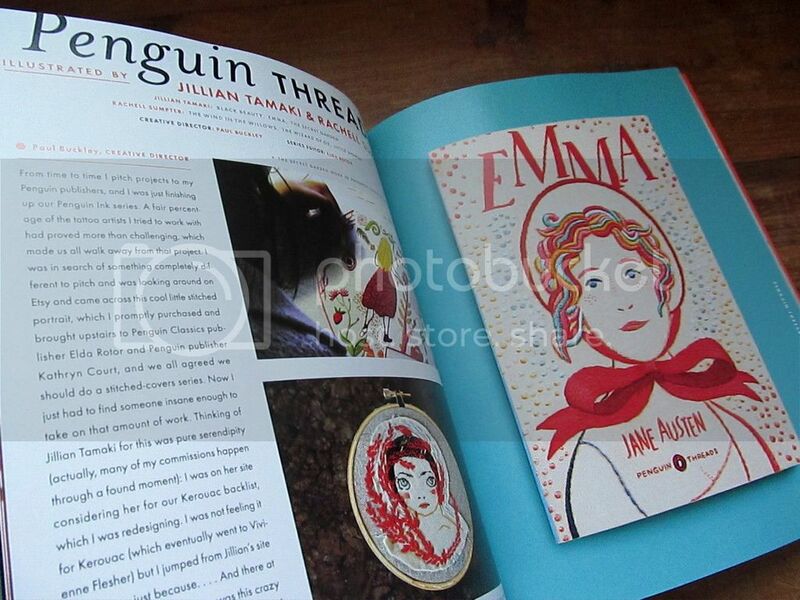 So when Penguin contacted me and asked if I'd like a copy to read and review, of course I jumped on that! 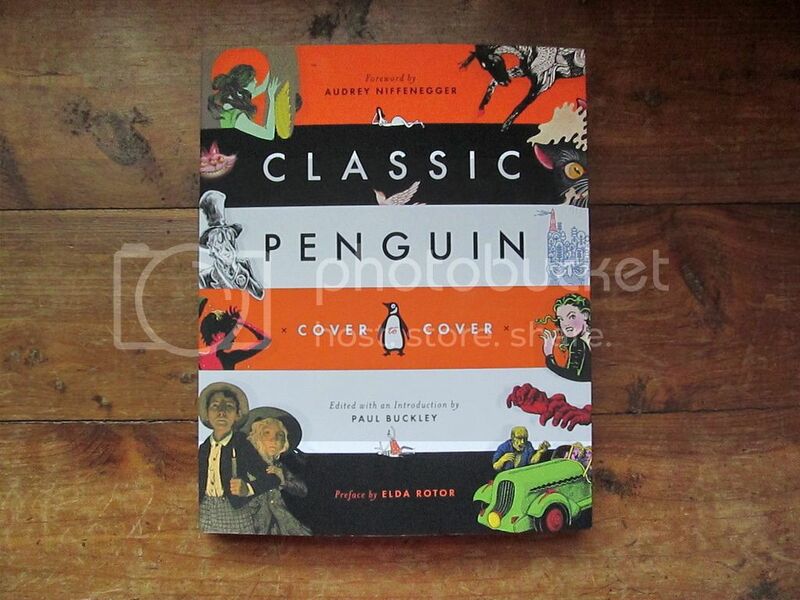 Classic Penguin: Cover to Cover didn't disappoint! 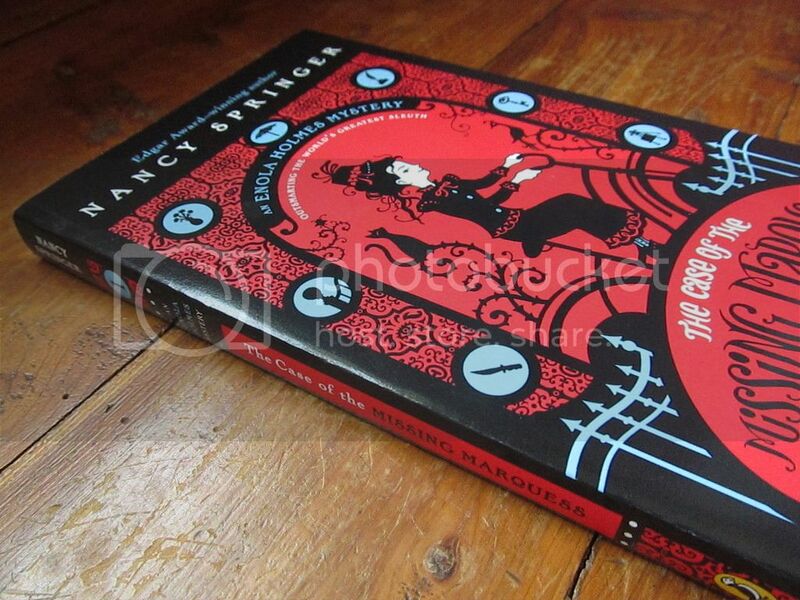 It's visually stunning and full of gorgeous book covers. I liked how the books were grouped by collection (there were a few featured collections I didn't even know existed). Some of my favorite covers were here, but I also found so many that I'd never seen before. (I actually went through it again and made a list of all the editions I'd like to own. Be warned that this book will make you want to spend money.) It was very interesting to read what the illustrators and designers had to say about certain covers, and to see the progression of their first ideas and sketches to the final design. Some of the "interviews" were more interesting than others, but overall I enjoyed most of them. My only complaint is that I wanted more! There were a few of my favorite covers that I wish had been featured (the deluxe edition of Shirley Jackson's We Have Always Lived in the Castle comes to mind). 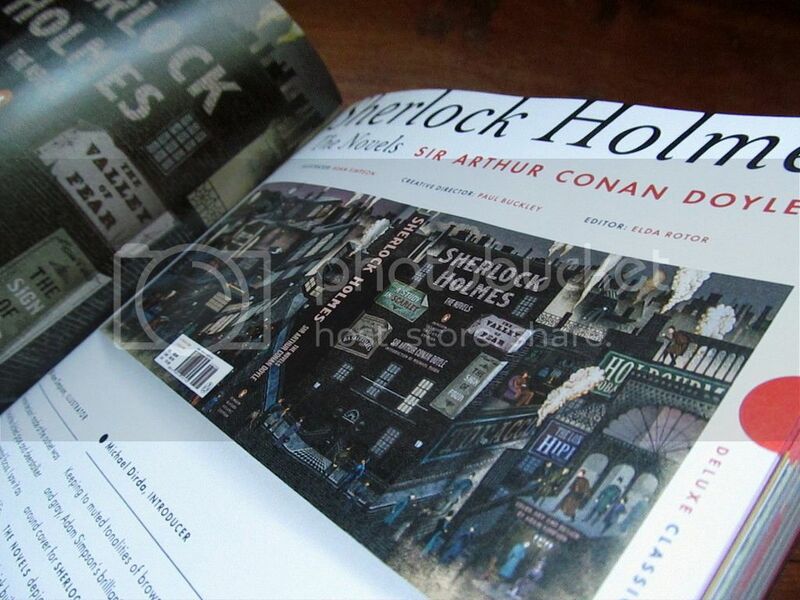 It would have been nice to see the clothbound hardcovers and the Penguin English Library editions included, too. But obviously they can't cover everything! (No pun intended.) Also, at times the captions were difficult to read, as they're very tiny...in a few cases it took me a moment to figure out which cover was the final one. Anyway, I loved this book. If you're one of those readers (like me) who's obsessed with pretty covers and interested in book design, this book is made for you. It's not just a lovely idea...the presentation is beautiful and so appealing. After many weeks of not spinning anything, I finished some yarn a few days ago! 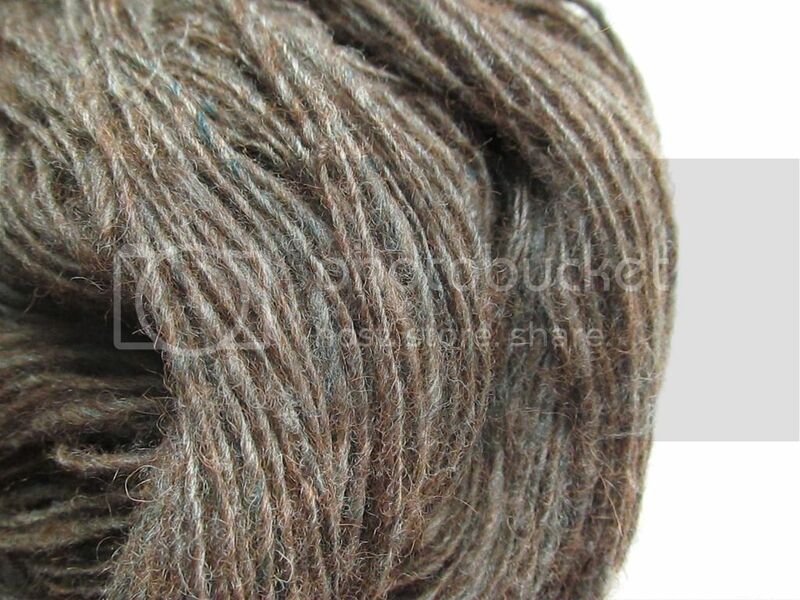 I bought the fiber at the festival this past spring: it's a 60/20/20 blend of alpaca, merino, and BFL. The vendors were from a group of alpaca farmers in Tennessee who pool their fiber together, so I guess this is almost local fiber? I'm not sure where the merino and BFL came from. I started spinning the fiber for a demonstration last month, but then didn't work on it anymore until the last week or so. I spun it as a single, and then I fulled it slightly (using these instructions). 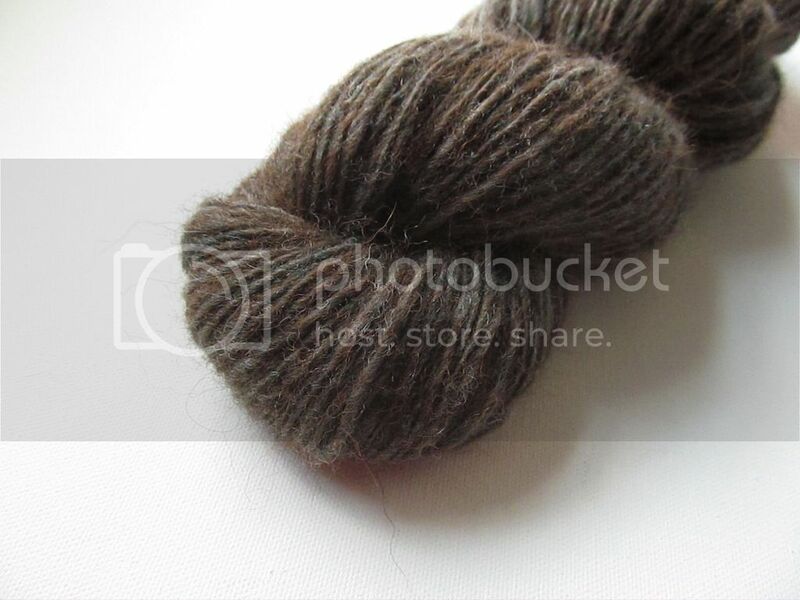 Even though it's pretty fuzzy because of the alpaca content and fulling, there's a bit of shine to it from the BFL. 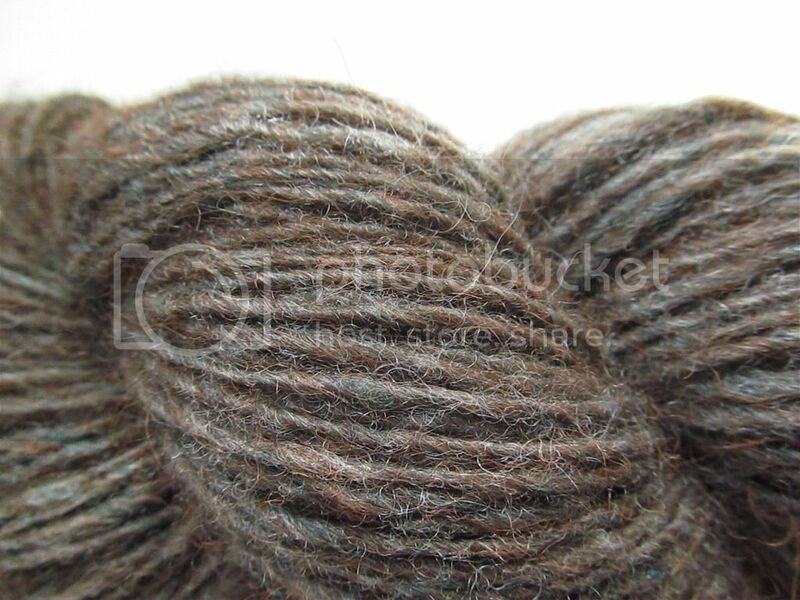 The yarn is mostly brown, but has a bit of gray and dyed blue mixed in, too. 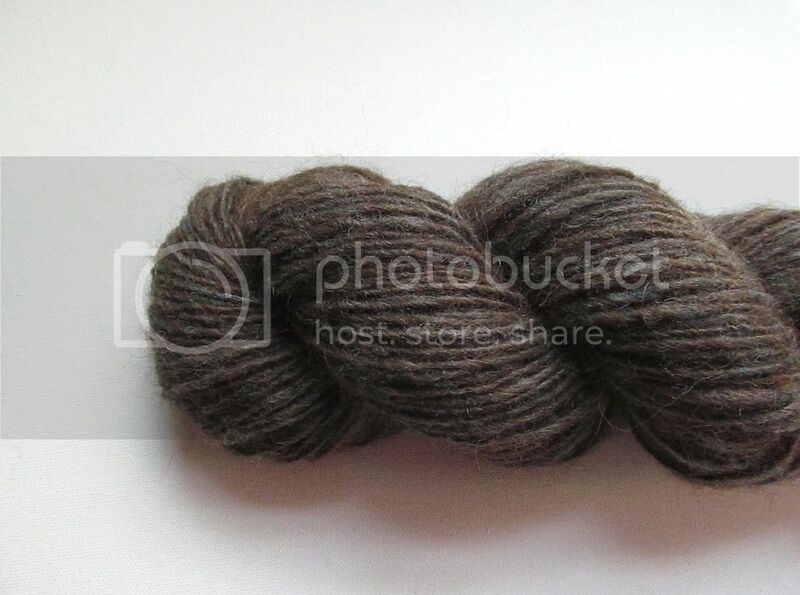 I ended up with about 250 yards of sportweight or very light DK. It'll probably become a shawl, but I don't have a pattern in mind (any suggestions?). Somehow I don't really have any neutral colored accessories, so I need to knit a couple before fall. Knitting: I don't know what to knit next...I'm waffling between starting another sweater or being practical and starting some hats to sell this fall. So I did the perfectly logical thing (ha) and cast on another sock. I'm making the Impossible Girl socks, in this very autumn-ish, burnt orange tweed yarn. 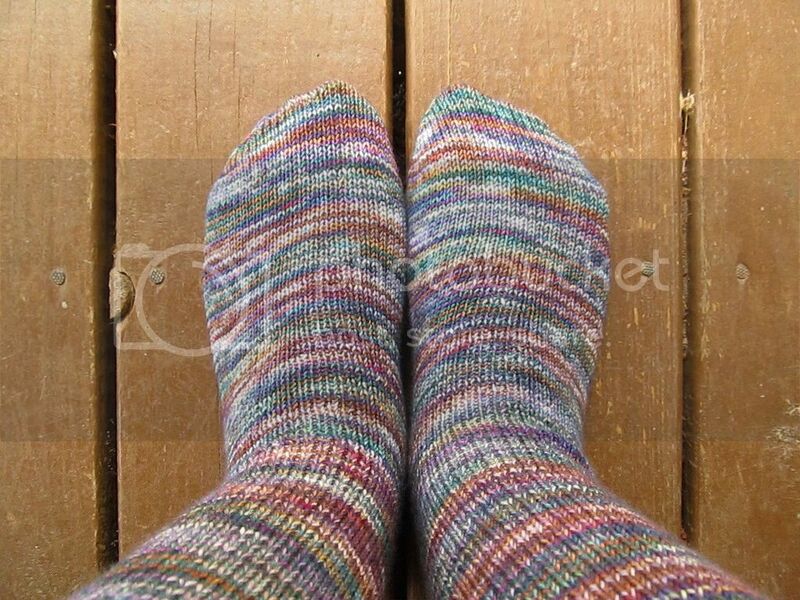 Just like the rest of the socks I've knitted so far this year, there's not a lot to say about these! They're just plain vanilla socks. 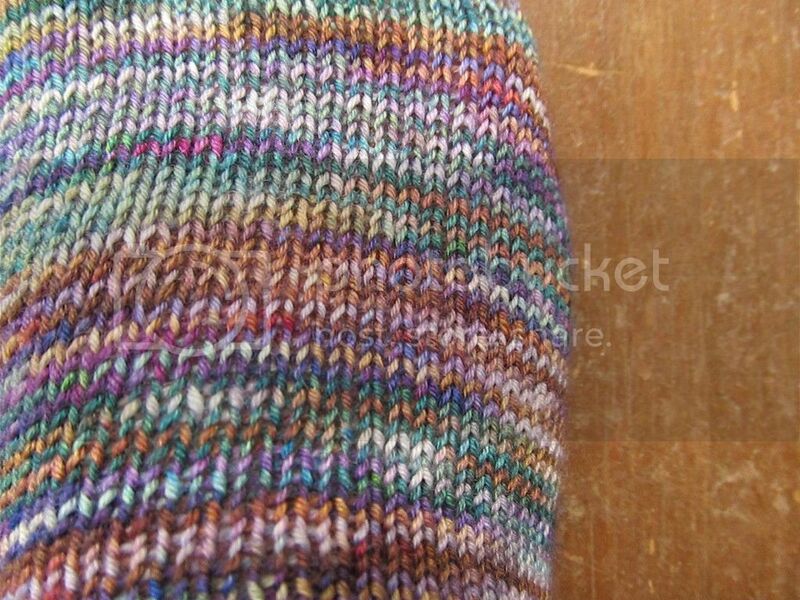 That's mostly what I stick with, especially when using variegated yarn. I bought this yarn a few months back at the fiber festival. It's dyed by a somewhat local dyer, Unplanned Peacock Studio. 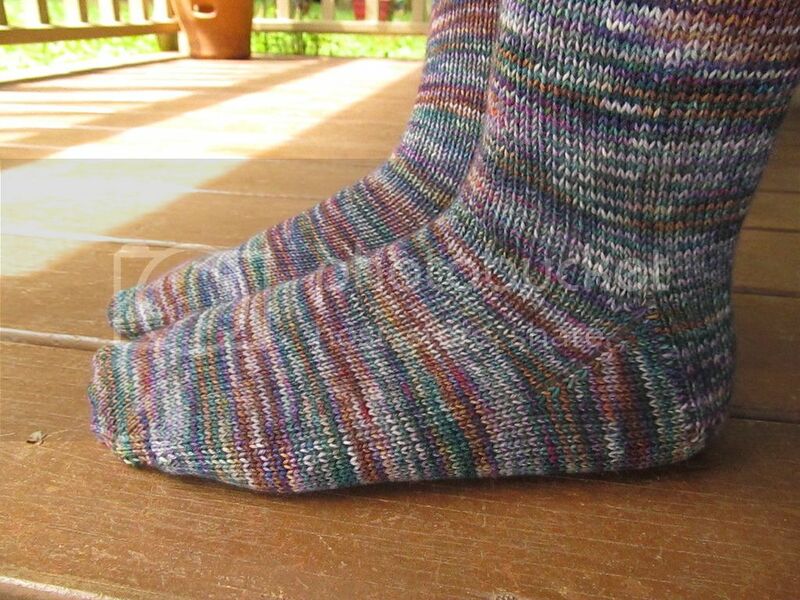 This was her 2016 Olde Liberty Fibre Faire colorway. I love her sock yarn and buy a skein whenever I have the chance, but I always end up knitting it into something other than socks for myself. 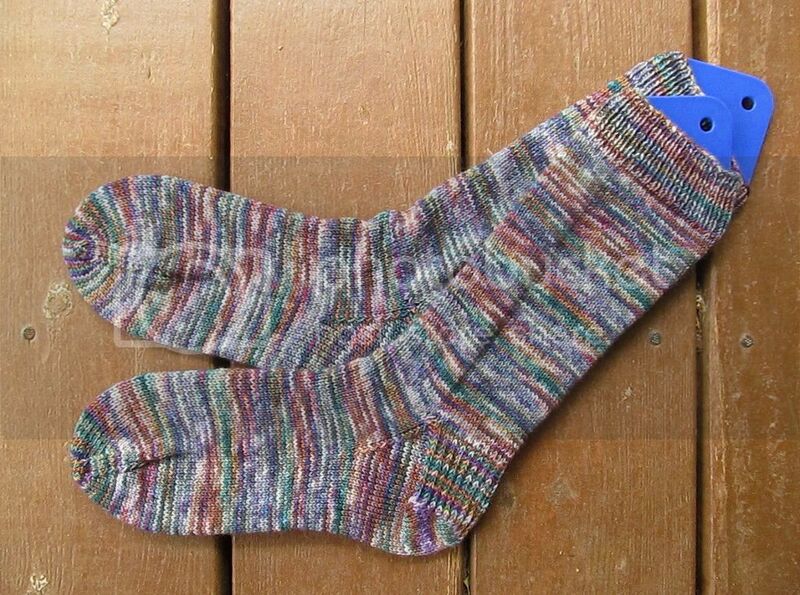 But now I finally have a pair from her yarn! I love the colors, and overall I'm pretty happy with how it worked up. There's a bit of pooling, but it's not too bad. 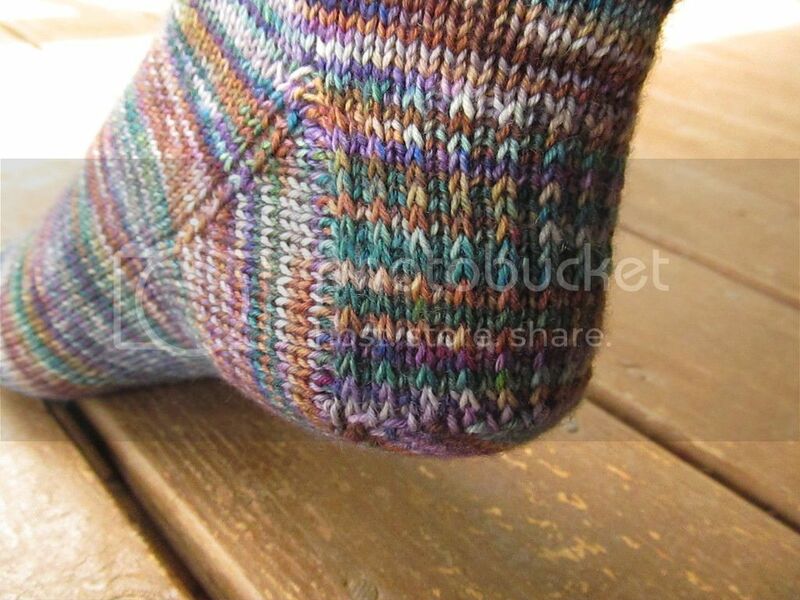 Plain socks might not be the most exciting knitting ever, but they sure are practical. :) It's very satisfying seeing my sock drawer fill up! And considering that most of my yarn is sock yarn, I need to keep knitting them at a steady pace if I'm ever going to shrink my stash. June was a good reading month! I really liked most of what I read, and I finally got around to a few books that have been sitting unread on my shelves for years, so that's good. :) As always, click on the title to read my Goodreads review. The Rumpelstiltskin Problem, by Vivian Vande Velde. I've had this little book probably since elementary school, and I'd read part of it but never finished. The concept was intriguing: six short stories that answer questions about some of the weird aspects of the story of Rumpelstiltskin. Unfortunately, it wasn't that great. I liked a couple of the stories, but they weren't very different or memorable. The Lottery and Other Stories, by Shirley Jackson. I had previously read We Have Always Lived in the Castle and The Lottery by this author, and I thought all of the stories in this collection would have a similarly creepy feel. But they weren't really what I expected! They're mostly about everyday events, but there's this subtle, unsettling undertone. It's hard to explain. I did enjoy it a lot, though it was a very unusual read. 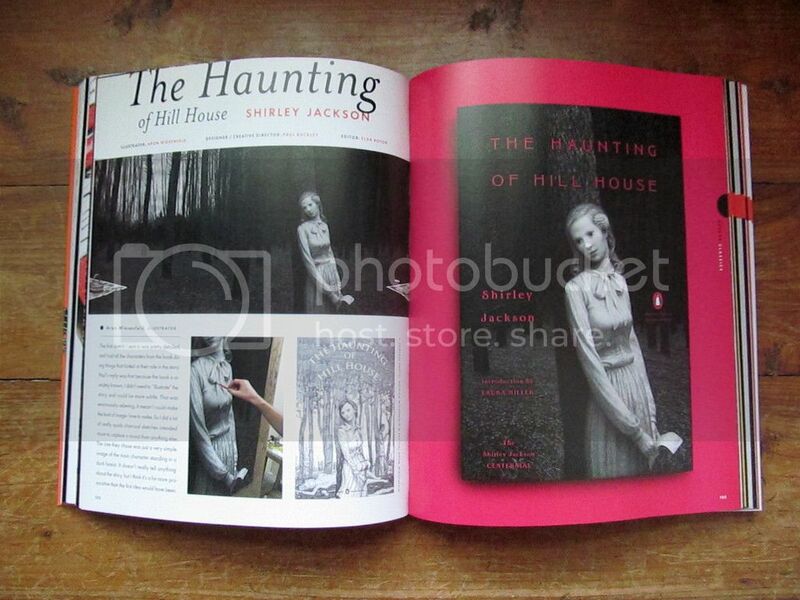 I love Shirley Jackson's writing style! The Encyclopedia of Early Earth, by Isabel Greenberg. This was a very unique graphic novel. I'd heard good things about it, but just flipping through, it didn't appeal to me much (the art or the story). When I started reading it, though, I ended up really liking it. It's a strange combination of creation stories, Bible stories, and myths, mixed with some original stuff. At times it was surprisingly funny and beautiful. All Roads Lead to Austen, by Amy Elizabeth Smith. 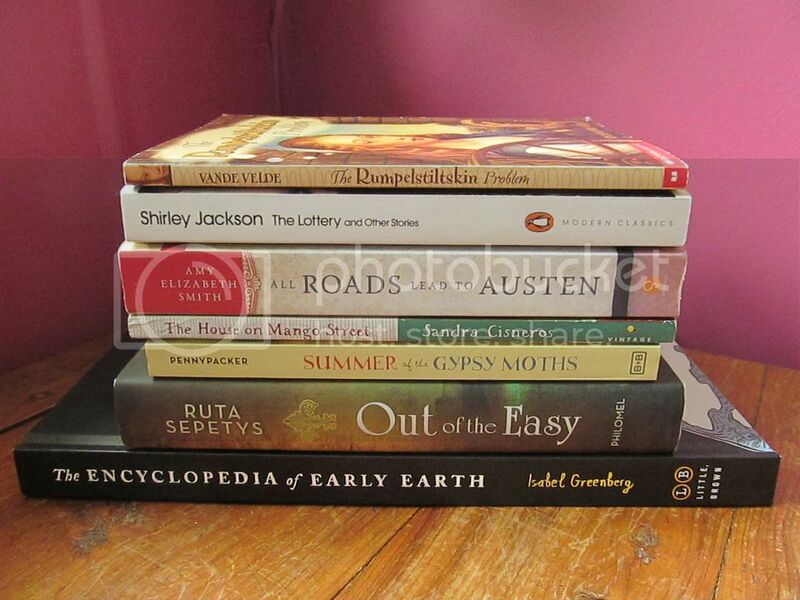 I really liked this book: a combination of Jane Austen and travel memoir (two of my favorite things). Honestly, I've never had much interest in traveling to the countries that she visited, but it was very interesting and readable. My only complaint is that the discussions in the different reading groups felt a bit repetitive sometimes. The House on Mango Street, by Sandra Cisneros. I'm not sure what to think about this one. I can see what the author was trying to do, but I'm not sure that it clicked with me. The writing style was very unusual (the author is a poet), and while pretty at times, it was too much at other times. The chapters, and the whole book, were very short and seemed to be lacking something. 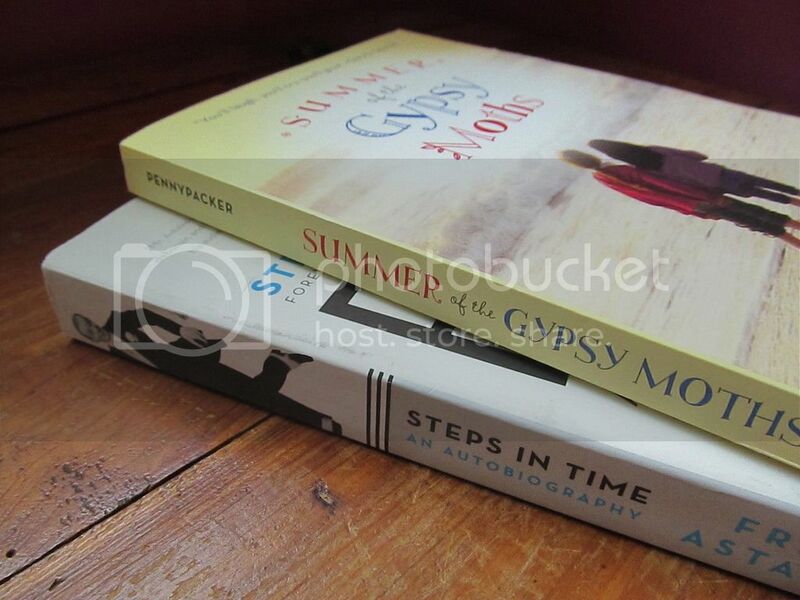 Summer of the Gypsy Moths, by Sara Pennypacker. This book surprised me in a good way! I'd picked it up a couple of summers ago, read a few pages, and then put it aside because I wasn't in the mood for it. Because of that, I was reluctant to try it again. But it was so good. I loved the writing, the story was interesting (if a little unbelievable), the characters were great and very endearing. I've read a lot of mediocre and forgettable middle grade in the past year or two, so it was nice to read one that was so satisfying. Out of the Easy, by Ruta Sepetys. A lot of people seem to be familiar with this author's first book, Between Shades of Gray, and her newest book, Salt to the Sea. But I don't hear much about this one, her second book. I ended up really enjoying it! It's a lot lighter than her first book, though still dealing with some more serious issues. (It's set in New Orleans in 1950, and the main character is the daughter of a prostitute.) It was a very addicting read.